Renew or extend the services on your WatchGuard Firebox T55-W firewall. Keep your Firebox T55-W up-to-date with Standard Support or extend your network protection with one of WatchGuard's Security Suites. 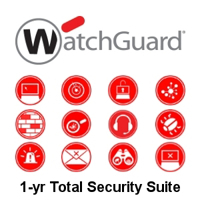 WatchGuard 3-yr Total Security Suite Renewal/Upgrade for Firebox T55-W including Gateway Antivirus, Application Control, WebBlocker, spamBlocker, Network Discovery, IPS, Reputation Enabled Defence, Data Loss Prevention (DLP), Dimension Command, APT Blocker, DNSWatch, Threat Detection and Response, and Gold Support. WatchGuard 1-yr Total Security Suite Renewal/Upgrade for Firebox T55-W including Gateway Antivirus, Application Control, WebBlocker, spamBlocker, Network Discovery, IPS, Reputation Enabled Defence, Data Loss Prevention (DLP), Dimension Command, APT Blocker, DNSWatch, Threat Detection and Response, and Gold Support. 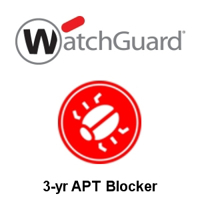 WatchGuard 3-yr Basic Security Suite Renewal/Upgrade for Firebox T55-W including Gateway Antivirus, Application Control, WebBlocker, spamBlocker, Network Discovery, IPS and Reputation Enabled Defence as well as Standard Support for support and device warranty. 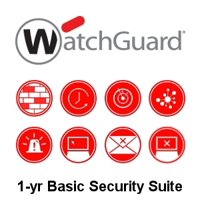 WatchGuard 1-yr Basic Security Suite Renewal/Upgrade for Firebox T55-W including Gateway Antivirus, Application Control, WebBlocker, spamBlocker, Network Discovery, IPS and Reputation Enabled Defence as well as Standard Support for support and device warranty. WatchGuard Standard Support Renewal 3-yr for Firebox T55-W, providing hardware warranty, software updates and technical support. WatchGuard Standard Support Renewal 1-yr for Firebox T55-W, providing hardware warranty, software updates and technical support.